The Trials Of Muhammad Ali is a new documentary exploring Muhammad Ali’s lifelong journey of spiritual transformation. From his Louisville roots, through his years in exile, to receiving the Presidential Medal of Freedom, Trials traces Ali’s path from poet to pariah to global ambassador for peace. At each stage, the challenges Ali faces go far beyond the boxing ring and ultimately encompass issues of power, race, faith and identity that confront us all. The Trials Of Muhammad Ali is not a boxing film and has no highlight reel. Instead, it focuses on Ali’s toughest bouts: his decision to join a controversial religious group, his battle to overturn a five-year prison sentence for refusing US military service, and his struggle with Parkinson’s. 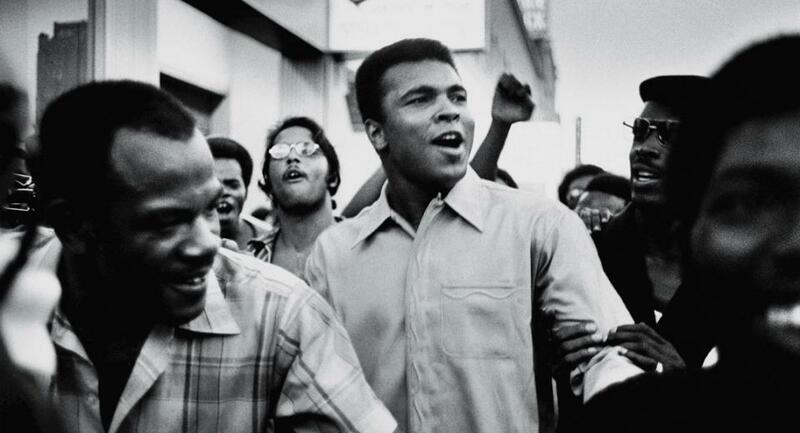 While other Ali films focus on his heroic exploits in the ring, they tragically under-examine some of the most noteworthy, provocative and resonant aspects of Ali’s life, such as his relationship with the Louisville Sponsoring Group, the Nation of Islam, and his Muslim faith. The Trials Of Muhammad Ali delves deeply into a time when an emerging sports superhero chooses faith and conscience over fame and fortune. The documentary is set to begin screening in 2014. Visit PBS/Independent Lens for 2014 screening dates and cities near you and don’t miss the PBS television debut May 2014.